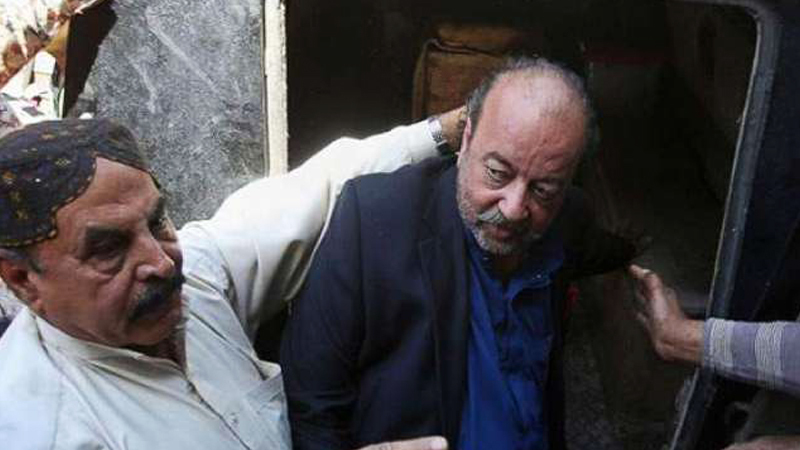 Accountability Court extended the physical remand of Speaker Sindh Assembly Agha Siraj Durrani for another 10 days on request of the National Accountability Bureau (NAB) Karachi. On Thursday, Agha Siraj Durrani was produced before the court amid strict security as heavy police contingents were deployed outside the court on the occasion. Durrani told the court that his family is being harassed but the court asked him to tell about himself. The NAB prosecutor told the court that the cook was arrested because huge transactions were made into his bank account. NAB prosecutor further told the court that last time accused had complained after which an air conditioner was installed in his room. He wakes up at 12 AM in the morning, has his breakfast and reads the newspaper,” he said. The prosecutor pleaded the court for an extension of 15 days in Durrani’s physical remand. The court rejected NAB’s 15-day request and granted an extension of 10 days. Earlier on February 20, the NAB officials arrested Durrani from a hotel in Islamabad. He was under investigation in three cases pertaining to illegal appointments, accumulating assets beyond means, and misappropriation of government funds. NAB had initiated three separate inquiries against Durrani last year for allegedly owning assets beyond means, illegally recruiting 352 individuals on various government positions and embezzlement of funds for the construction of the MPA Hostel and construction of the new Sindh Assembly Building. Later, talking to media persons outside the court, the Speaker Sindh Assembly said he has hopes of getting justice from the court.